The World of Playing cards is a terrific site with reproductions of historic cards from around the world. Most recently, they shared Snapshots: A Missionary Card Game from the Church Mission Society circa 1910. It’s described as a basic set-building game of 48 cards with 12 sets from representing different cultural practices around the world. 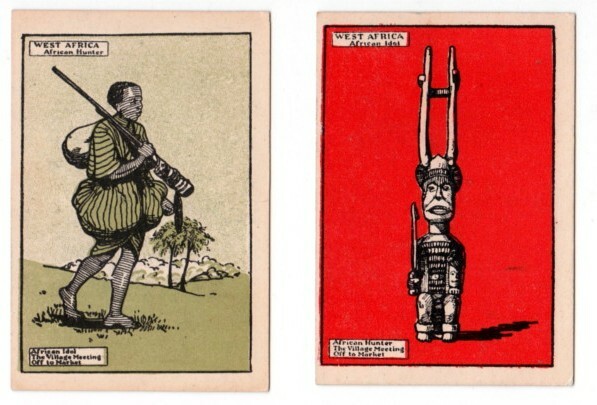 Each set has four cards, each of a different color, showing some aspect of culture in Japan, Sudan, and so on. The goal is to prepare the missionaries to work in these places as they preach the Gospel. You can find more at World of Playing Cards. ← How Did CNN Report on the New “Charlie Hebdo” Cover?